Peanut Butter and Chocolate, a match made in heaven. 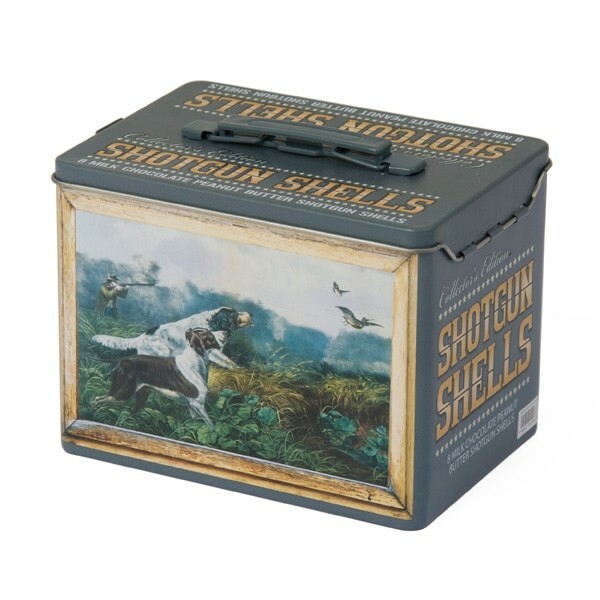 Your tastebuds will thoroughly enjoy the taste and smell of our shotgun shells chocolate ammo. Includes 8 shells filled with creamy peanut butter. That's 1/2 lb, bet you can't eat just one. 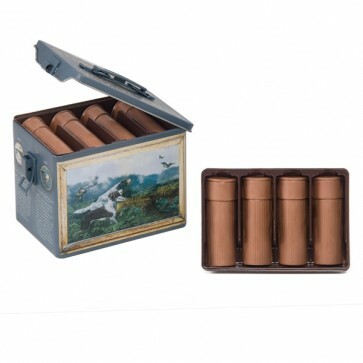 The chocolate comes in a beautifully decorated metal tin depicting Currier & Ives Game Bird hunting. 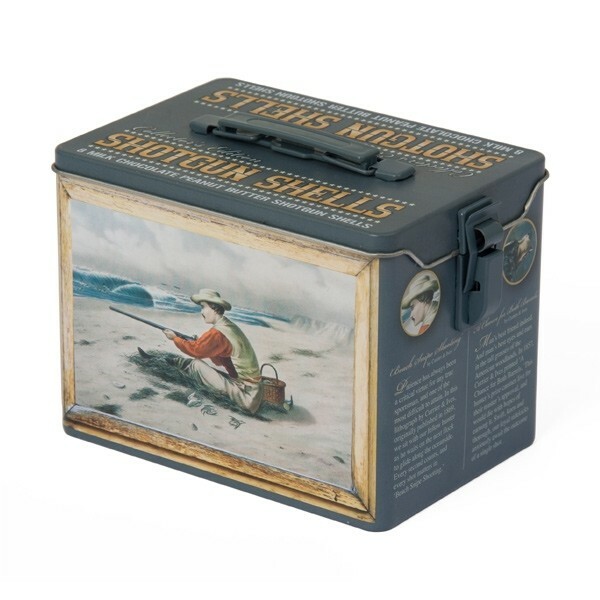 Shells are 2.75" long and 1" wide. Ingredients: Milk Chocolate, Sugar, Partial Hydrogenated Palm Kernal Oil, Whey, nonfat Milk, Mono and Diglyceride and Soya Lecithin as Emulsifiers. Artificial Color, Natural and Artificial Flavor, Peanut Butter, Coconut Oil.